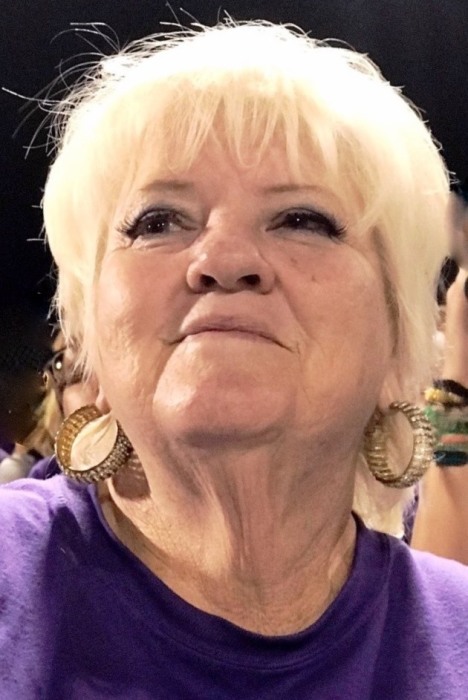 Obituary for Sherry Lee (Rodgers) Foster | Dixon Funeral Home, Inc.
Sherry Lee Foster, 68, of Angleton passed away on Wednesday, January 23, 2019 at UTMB Health Jennie Sealy Hospital in Galveston, TX surrounded by her loving family. She was born October 26, 1950 in Sugarland, TX to Henry and Leonna Rodgers. Sherry worked for AISD in the Transportation Department for over 38 years. She enjoyed quilting, her horses and spending time with her family, especially her grandchildren. She was preceded in death by her parents; husband, Bennie Ray Foster; son, Rodger Foster and brother, Henry Roland Rodgers, Jr.
She is survived by her son Eddie Foster of Angleton; daughter, Donna Kasinger of Angleton; brother, Richard Rodgers (Betty) of Angleton; good friends, Donna Allison and Charla Cauthen; grandchildren, Dusty Ray Foster, Joseph Foster, Kristopher Foster, Matthew Foster, Lathan Foster, William Lance Kasinger, Dustin Cole Reininger and Kenneth Wayne Reininger II; great granddaughter, Avery Foster; and a host of other relatives and friends. Active pallbearers will be Dusty Ray Foster, Joseph Foster, Kristopher Foster, Lance Kasinger and Jacob Lantrip. Family will receive friends on Friday, January 25, 2019 from 5:00 p.m. to 7:00 p.m. at Dixon Funeral Home in Angleton. Funeral Services will be Saturday, January 26, 2019 at 11:00 a.m. at Dixon Funeral Home in Angleton with Pastor Thomas Woodard officiating. Burial will follow at Angleton Cemetery.